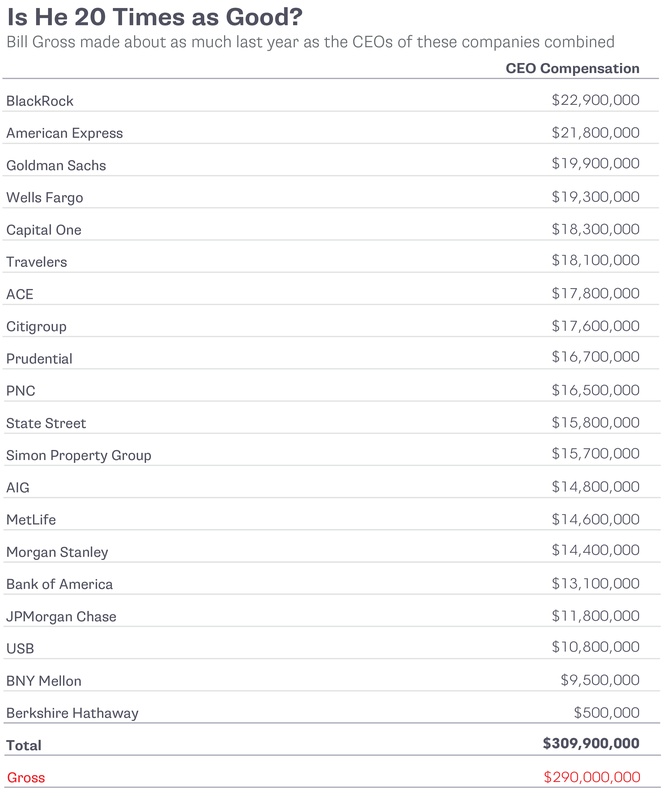 Pacific Investment Management Co. paid its former Chief Investment Officer Bill Gross a bonus of about $290 million in 2013, a year in which his Total Return Fund trailed a majority of peers, according to documents provided to Bloomberg View by someone with knowledge of Pimco’s bonus policies. 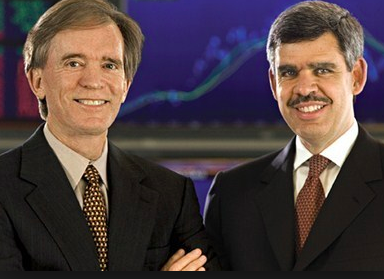 Mohamed El-Erian, 56, the former chief executive officer who previously shared the title of CIO with Gross, received a 2013 bonus of about $230 million, according to figures first reported today by Bloomberg View columnist Barry Ritholtz. 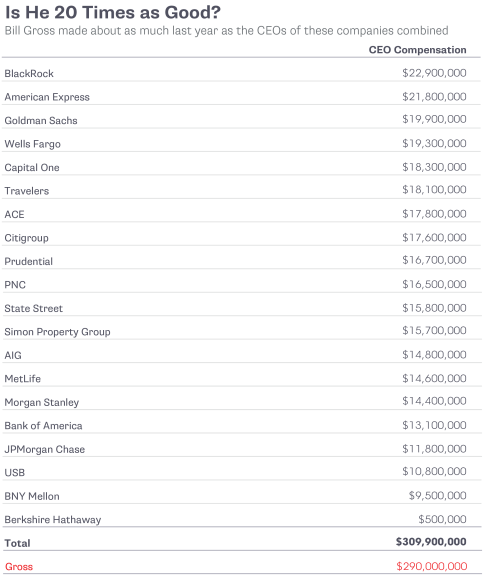 By comparison, Laurence D. Fink, CEO of BlackRock Inc., the world’s biggest money manager, received $22.9 million in 2013 compensation, and Michael Diekmann, CEO of Pimco’s parent Allianz SE, was paid 7.2 million euros ($8.99 million), regulatory filings show. A globally-respected financier has revealed that he quit his job running a $2 trillion investment fund after his young daughter wrote him a note pointing out that he had missed 22 landmark events in her life. Mohamed El-Erian’s ten-year-old told her dad that he had skipped her first day of school, Halloween parade, her first soccer game of the year and many recitals because he was too busy at work. The California-based investment guru’s resignation in May 2013 shocked the financial world. However in a recent interview, Mr El-Erian, who made $100 million in 2011 alone, explained that his young daughter and wife Jamie were at the heart of his decision. In an essay for Worth in June, El-Erian, 56, explained his decision. He said: ‘About a year ago, I asked my daughter several times to do something – brush her teeth, I think it was – with no success. ‘I reminded her that it was not so long ago that she would have immediately responded, and I wouldn’t have had to ask her multiple times; she would have known from my tone of voice that I was serious. One wonders how many Americans dads would miss every event of their child’s upbringing for a tiny fraction of that bonus, and further to that, perhaps that very question is at the core of why there happens to be just a little “resentment” toward the bailed-out US financial class in the past 5 or so years.